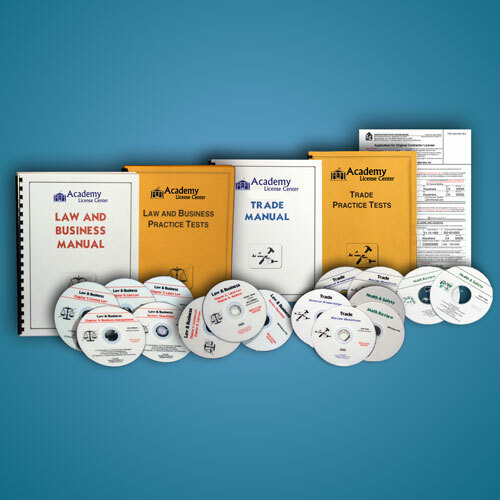 Please choose the CSLB recognized trade course you want to receive. Next, choose the media you would like the course provided on. Now, choose the type of contractor license you are applying for so that we can provide customized application processing for you. 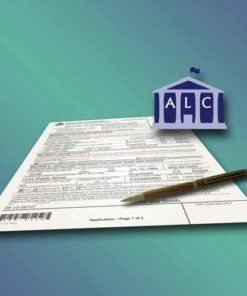 Different types of licenses require different paperwork. This course is designed for contractors that are taking the California State Licensing Board’s Contractors Exam that need to study for the Law & Business AND Trade portions of the exam. This applies to most contractor trades except C-61 limited specialty trades. If you have questions about your specific trade, please contact us. If you need only to review the trade portion OR the Law & Business portion of the State Exam, please check out our Contractor Trade-Only Course. DVD Video Instruction Media (Optional) – Watch your instructor present your review course. CD Audio Disc Instruction Media (Optional) – These audio lessons are transferable to an iOS or Android device for learning on the go. 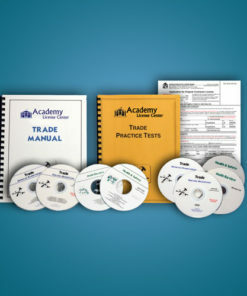 TRADE COURSE – Each trade classification has a unique Trade Manual that reviews Estimating Formulas, Cal/OSHA Regulations, and Trade Topics that are covered on the State exam. Also incuded are Trade Practice Tests, along with the latest Update Test Questions. General Knowledge – Each trade has a General Knowledge section that covers key topics specific to the trade that students need to know to pass the state exam. Review Questions – This section of the manual includes the “most difficult” questions with explanations. Health and Safety* – The Health and Safety covers the Health and Safety Orders at the end of the trade manual. Math Review* – The Math Review explains the math formulas at the first part of the trade manual. Update Exams have the newest questions available for the law or trade course. These questions are somewhat raw, as they have not been cross-referenced or reformatted. In most cases they are newly released by the state, and considered vital to your successfully passing the state exam. Please note that we do not recommend relying on studying these update questions alone to pass the state exam. The update exams alone will not ensure a successful pass rate. Course Completion Time will vary with each person. On average most students will spend approximately 20-25 hours in study and review time depending on their individual needs. We recommend that you score in the 90% range on your practice tests to insure passing the state exam. Once you complete the course you will be ready to pass the state exam. The State can take 8-10 weeks from the time they receive your application to the time they schedule your test date. We recommend that you continue to study your course materials until you take the state exam. * Some trades do not require Heath and Safety or Math Review. 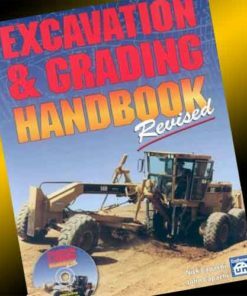 † For Contractor Trades: (A) General Engineering, (C-12) Earthwork & Paving, (C-34) Pipeline, and (C-42) Sanitation Systems, the Excavation and Grading Handbook (E&G Handbook) is bundled [at our wholesale cost] because it is part of the course. Please note that the course image shown is for example only, actual course contents may vary based on course options purchased.